La Real Escuela Andaluza del Arte Ecuestre (Royal Equestrian Art School of Andalucia) is celebrating its 40th anniversary with a tour in Spain and France. ‘Cómo bailan los caballos andaluces’ show is held at the Marbella Bullring La Malagueta on August 2, 2013. 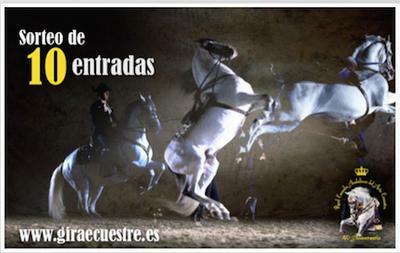 Tickets may be purchased at www.giraecuestre.es for 15,90 euros or at the box office 3 days in advance. Children free.